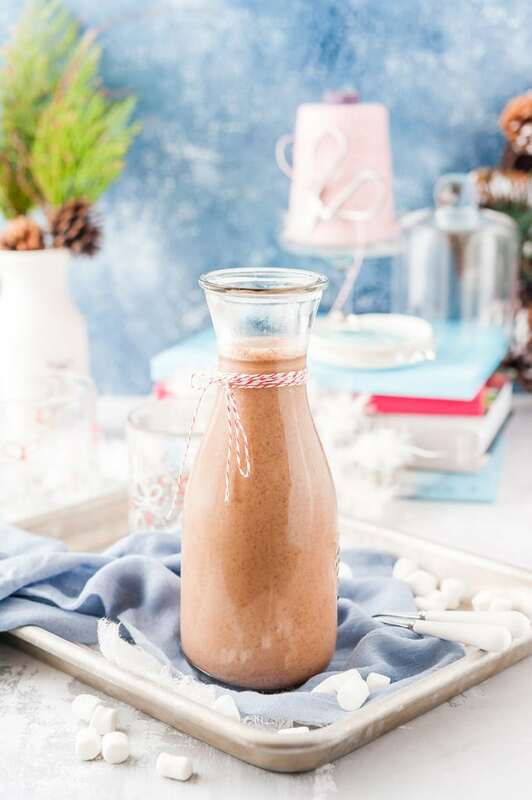 This Instant Pot Hot Chocolate is creamy and rich, yet not overly indulgent. It’s lightly sweetened with maple syrup and Nutella. And it’s cooked quickly and conveniently in Instant Pot without any stirring. Perfect way to enjoy Hot Chocolate on a cold winter day! This post contains amazon affiliate links which means if you make a purchase after clicking one of those links, I will receive a small commission. Imagine, it’s mountains of white fluffy sparkling snow outside. The sun is shining and the wind is just barely there, nipping at your bare and flushed cheeks. It’s Sunday. No, Saturday morning. The whole weekend is ahead of you. You come in home from the cold and plunge into the warmth, surrounded by the reach smell of hot chocolate. Well, that never happened when I was growing up. Yet, this mental picture is burned into my mind from many holiday movies I’ve seen over the years. It’s not that we didn’t have Hot Chocolate in Russia. We did. But it wasn’t something that we drank regularly in my family. Once I moved to Canada, ordering a cup of Hot Chocolate became a thing after a day of skiing in the winter. And now my husband usually asks for a warming cup of Hot Chocolate a few times in the winter after a bout of vigorous snow shovelling. For the past few winters I’ve been trying to make Hot Chocolate on the stove. It worked. Sort of. But it wasn’t great. Too sweet, too thin, too something else. So, when I saw a post on Facebook mentioning Instant Pot Hot Chocolate, I was intrigued. I took their general idea and changed the ingredients, proportions, timings. Funny enough, my changes resulted in the most perfect Hot Chocolate. Well, perfect is very subjective but it was very good. I tried it many times with different proportions and it works every time! 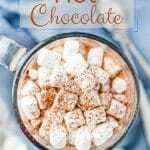 Why make Instant Pot Hot Chocolate? Many people say that cooking with Instant Pot is much faster than conventional cooking. It is true for some recipes but utterly false for many others. For me, the biggest advantage of using Instant Pot (or another electric pressure cooker) is convenience! The ability to set it and forget it. I like that I don’t have to watch pots and pans on the stove. I like that I don’t have to make sure that something doesn’t over-boil or burn. I like not needing to constantly stir and flip. I like the ease of cleanup! And, by the way, that is exactly the reason why I like cooking in the oven. 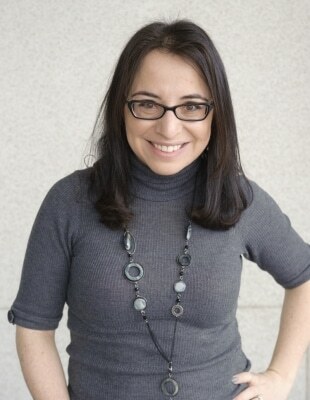 To me, cooking in Instant Pot and cooking in my oven are very similar: easy, no baby-sitting, less cleanup! 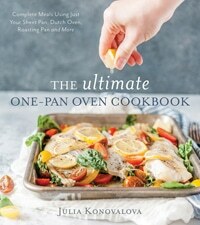 That is exactly why I wrote a cookbook called The Ultimate One-Pan Oven Cookbook that contains 75 original recipes all made in the oven, all made with one pan (sounds similar to Instant Pot cooking, doesn’t it?). Anyway, back to this Instant Pot Hot Chocolate. The idea is that I don’t have to constantly whisk the milk to make sure that it doesn’t over-boil. I don’t have to keep mixing so that the cocoa powder dissolves properly in the liquid. 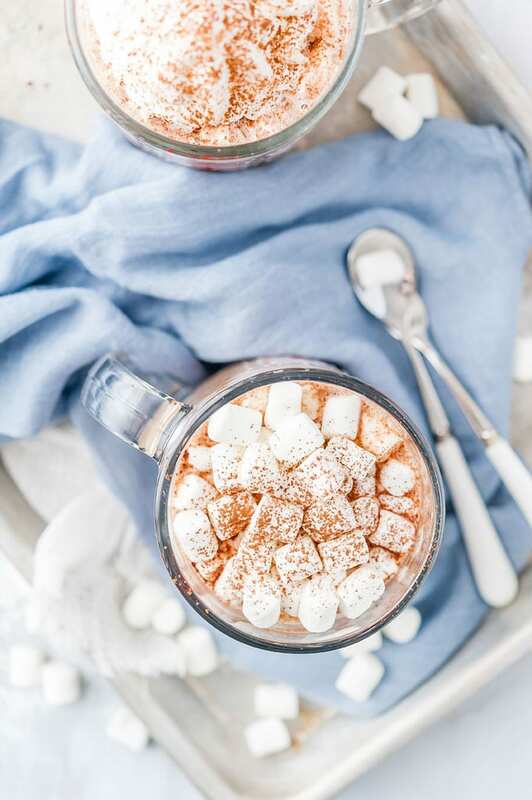 With Instant Pot, making Hot Chocolate is really as easy as adding all the ingredients into the pot and pressing a few buttons! If you want to learn more about Instant Pot and whether it’s right for you, read my article on 7 Things You Need to Know About Instant Pot and why you might not even want to buy it. After some research, it turned out that Hot Chocolate and Hot Cocoa are different. In fact, whenever I referred to Hot Chocolate in the past many years, I should have been saying Hot Cocoa. 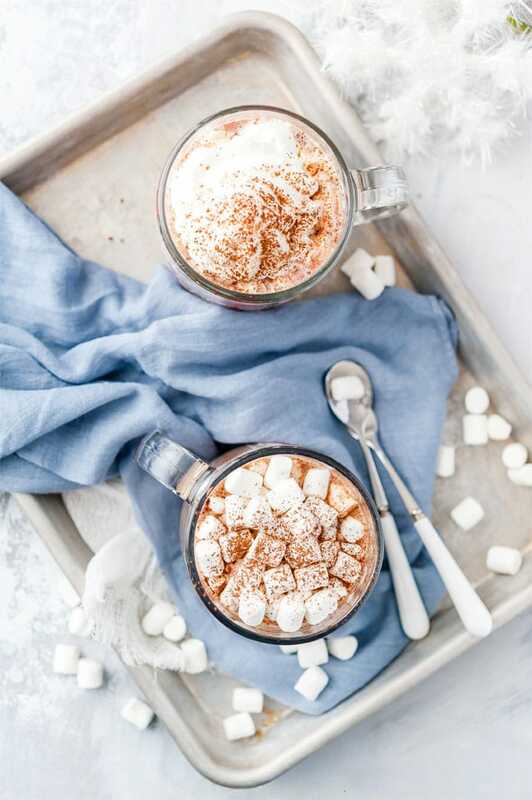 A mixture of milk/water, cocoa powder, sugar, and additional flavourings (exactly what this recipe is) is what is commonly known as Hot Cocoa. 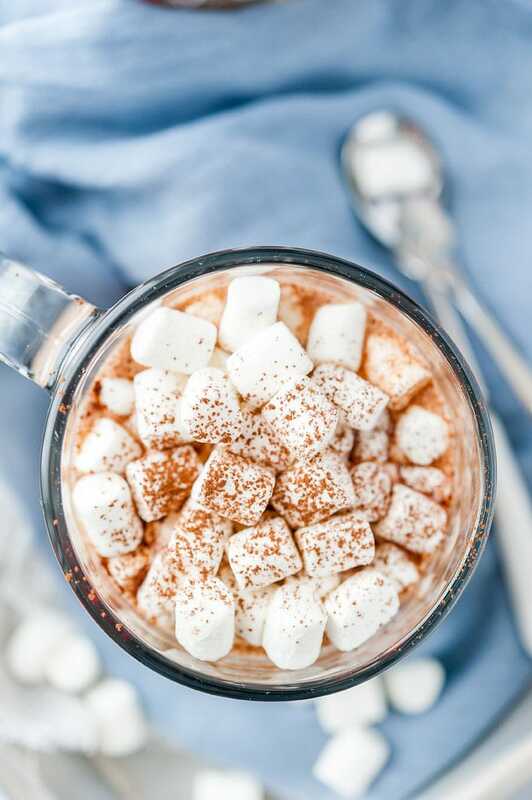 Whereas Hot Chocolate, also known as drinking chocolate, is usually much thicker and richer and made with actually melting real chocolate into some milk. However, it also seems that both terms are very commonly used interchangeably. My husband, who was born in Canada, did not even know the difference until I told him. 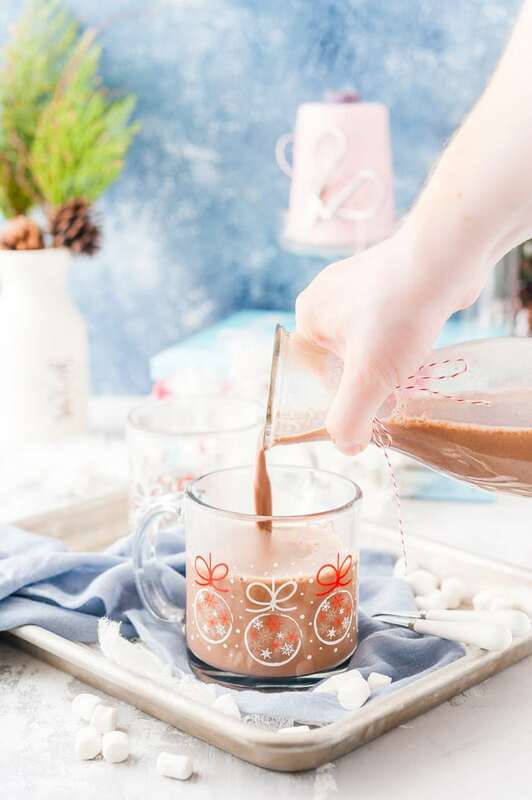 So, whether you refer to this drink as Instant Pot Hot Chocolate or Instant Pot Hot Cocoa, it will sure leave you satiated and satisfied! In all my trials for this recipe, it hasn’t ever curdled. I use the this model of Instant Pot. Results may vary with different models. NOTE: I prefer to make my Instant Pot Hot Chocolate using a non-stick Instant Pot Ceramic Insert. It just seems that the texture is better as there’s no way for the milk to burn. However, I tried making this recipe using a regular stainless steel insert and it turned out fine. Since you have to strain the Hot Chocolate anyway, both methods work. If you don’t want to strain this Instant Pot Hot Chocolate, then I strongly recommend using the Ceramic Insert, that’s what I use in the video. Do you really need another accessory for your Instant Pot? Well, this one is one of my favourites! Bake Instant Pot Cornbread with Real Crispy Crust – yes, you can actually bake in Instant Pot without water!!! Most likely you can use 3% also or 1% but I haven’t tried. I use dutch processed cocoa powder. It’s unsweetened. 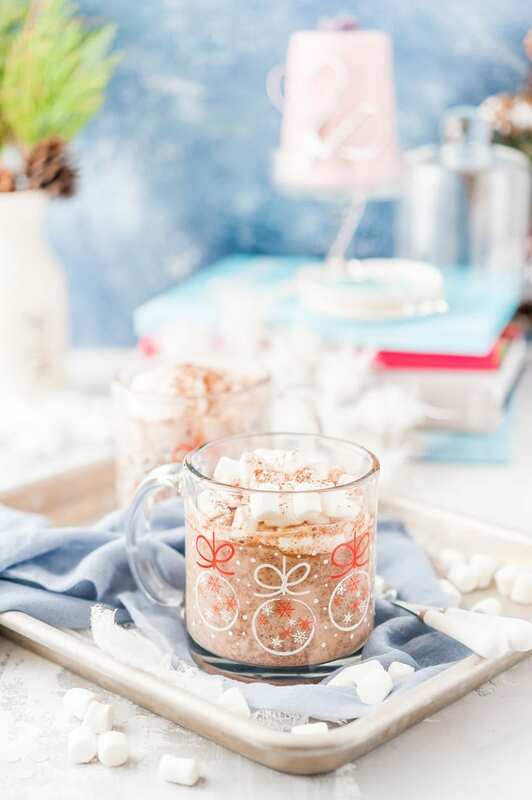 I use Nutella to add creaminess to this Instant Pot Hot Chocolate. Most likely you can omit it but you’d want to add more sweetener. There’s really no reason why I use maple syrup over sugar other than I love using maple syrup. You might be able to use regular sugar but I personally haven’t tried. This Hot Chocolate isn’t too sweet, so if you prefer sweeter drinks, add more sweetener. 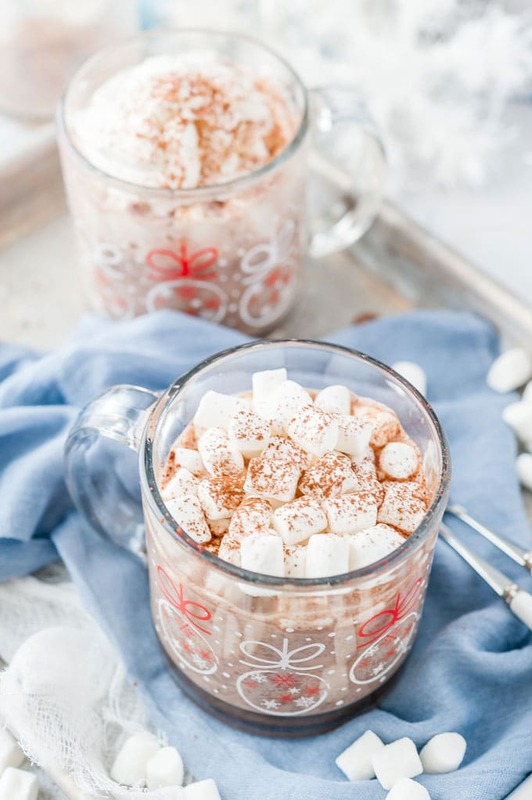 Do you have any other suggestions on how to flavour Instant Pot Hot Chocolate? Let me know in comments! 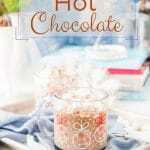 Don’t forget to watch the video to see how easy it is to make this Instant Pot Hot Chocolate! DO YOU WANT MORE INSTANT POT RECIPES? Join my Real Ingredients Instant Pot Recipes Facebook Group!!! 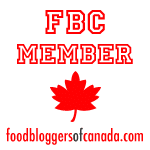 It’s a fun and safe place to share your own Instant Pot recipes made with Real Ingredients. Combine all the ingredients in your Instant Pot. I prefer to use Instant Pot Ceramic Insert when making this Hot Chocolate as there's less chance of milk burning. Close and lock the lid. Turn the vent on the lid to the sealing position. Press Manual or Pressure Cooker button (depending on your model) and using the arrow buttons set the cook time to 2 minutes. Depending on your Instant Pot model, it'll take around 5-7 minutes to come to pressure. Once the Instant Pot beeps that the 2 minutes of cooking are done, do a natural pressure release for about 7 minutes. This will allow the milk to stop bubbling inside. Once 7 minutes of natural pressure release are done, do a quick release. This will take about 1 more minute. When you open the lid, you'll notice that not all of Nutella fully dissolved. This is expected!!! Strain the Hot Chocolate through a fine-mesh thieve. Push the Nutella through if needed. Serve with marshmallows or whipped cream and extra cocoa powder. Wow. This hot coco was just the BEST! I brought my instant pot and all the fixings into work to make hot coco for my coworkers and it was gone within 10 minutes! I did not use a non stick insert and I used whole milk. The texture came out perfectly! Super smooth, not grainy at all. I didn’t even need to strain it! There was a burnt layer on the bottom, so the last cup needed to be poured out, but I made 10 cups so it wasn’t a problem, and I think that is pretty standard for hot coco. I DID mix the coco powder in hot water before adding, which I think helped with the smooth texture. But this recipe was just soooo good! I’m going to the store to get more milk right now so I can make another batch!